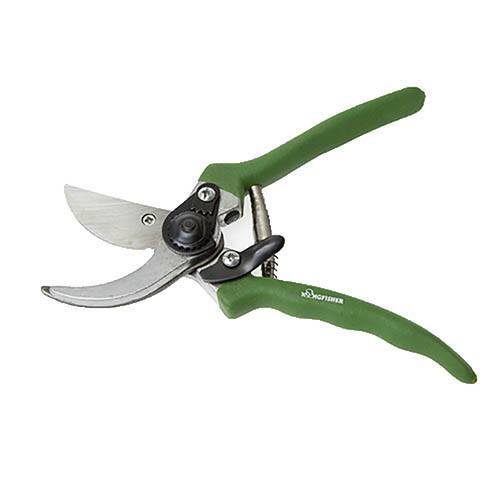 No gardener should be without a set of secateurs! Manufactured to the highest possible standards, they'll cut through stems and branches effortlessly. Lightweight die-cast aluminium handles and precision-engineered, Teflon coated carbon steel blades. Spring loaded for ease of use, Ergonomically designed handles, locking mechanism for safe storage. Supplied as 1 pair of bypass secateurs. Note: Colour of Secateurs supplied may vary from images. Perfect for pruning shrubs and trees! Manufactured to the highest standards, with hard wearing but light weight die-cast aluminium handles and precision-engineered carbon steel blade to cut through branches effortlessly. They are spring loaded for ease of use and have easy to grip rubber handles for comfort. They have a locking mechanism for safe storage and handling.